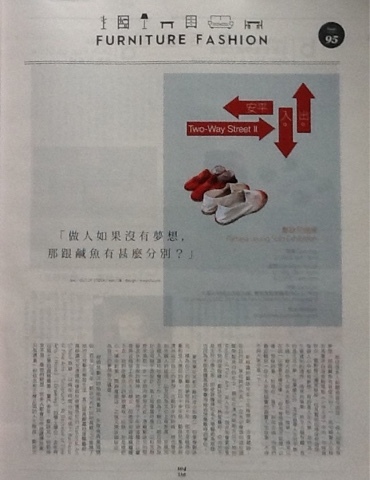 This is an article written by Out Of Stock, and published in Tao Magazine on 27th June 2016 Vol. 258. A big thank you to the talented Hong Kong artist, Jovial Yeung, who has invited me to exhibit in what will be my first solo show in Hong Kong. I can't begin to say how excited I am to exhibit a new work, Two -Way Street II, in my home town. 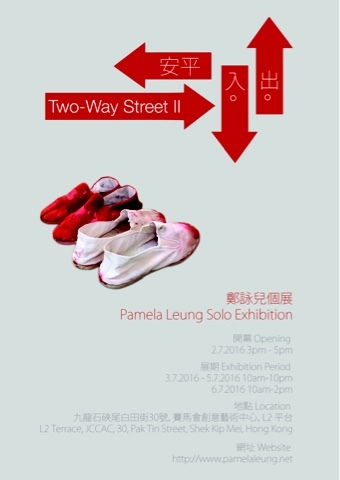 Two-Way Street ll is a new work extended from Two-Way Street (2015). Using every day found objects, from different parts of the world, I have created an installation that explores the complex nature of mutual communication within human relationships. The fine balance of give and take in a relationship is at the heart of this work. 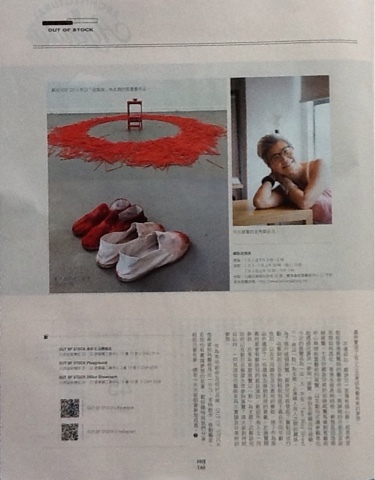 The exhibition will be held at Jockey Club Creative Arts Centre, from 2nd - 6th of July. The opening is on Saturday 2nd of July from 3-5pm, and will include a short performance at the start. Details are in the poster below. This is the link of the documentary of my MFA works - the installed and the private viewing on 12th April 2016. Special thanks to photographer Mikhail Zenon who did the fantastic filming for this documentary, my son Adrian Leung (Five Stripe) composed the beautiful music for the work 'I am alright, I am not alright...', and artist Veronica Habib who filmed the videos for 'Why Does God Allow These Things To Us?' And 'Untitled (Healing).